North Korean leader Kim Jong Un has invited South Korean President Moon Jae-in to Pyongyang and is ready to meet soon, Seoul’s Blue House said on Saturday. It would be the first such summit since 2007, at which then-South Korean President Roh Moo-hyun met with then-DPRK leader Kim Jong Il, and the third since the Korean War. 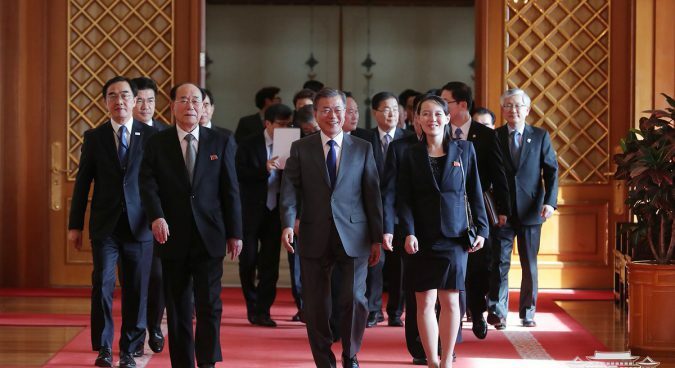 The invitation was delivered by the DPRK leader’s sister, Kim Yo Jong, during a visit by a high-level North Korean delegation to the Blue House – the first such visit by DPRK officials in eight years. 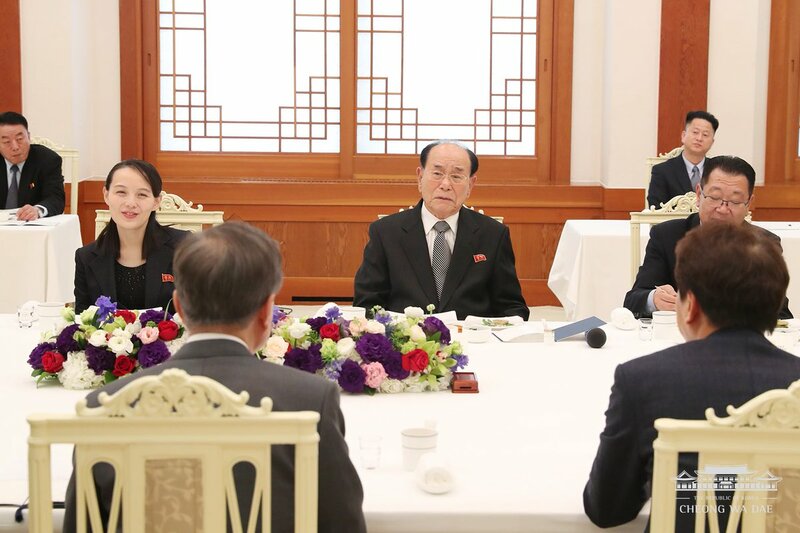 “Special envoy Kim Yo Jong delivered the personal letter of chairman of the State Affairs Commission Kim Jong Un which includes the willingness to improve the South-North relations,” presidential spokesperson Kim Eui-kyeom said. 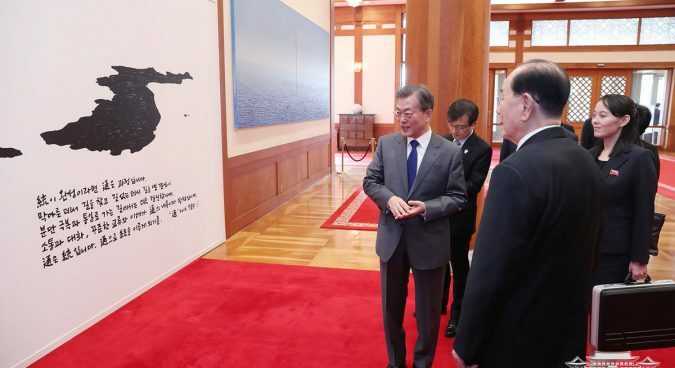 “I am open to any form of meeting, including a summit, if these are necessary to improve inter-Korean relations and resolve the North Korean nuclear issue,” Moon told more than 200 reporters at the Blue House in January. The two sides on Saturday also discussed the possibility of talks between Pyongyang and the U.S. in the near future. 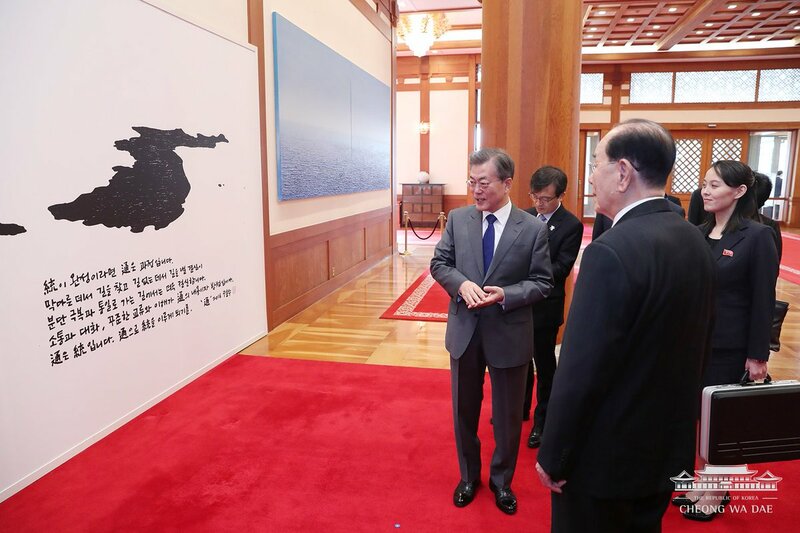 “President Moon especially requests for the North to actively come forward to dialogue with the U.S. saying ‘talks between the North and the U.S. early are needed for the improvement of the inter-Korean relations,'” Blue House spokesperson Kim said. “I hope the President will put a footprint which can be long remembered by the coming generations by playing a leading role in opening the new chapter of unification,” she said. 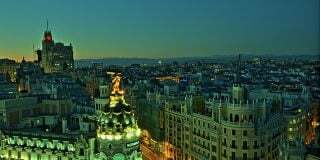 The delegation, which arrived in South Korea via private jet on Friday, was led by Kim Yong Nam, President of the Presidium of the Supreme People’s Assembly. 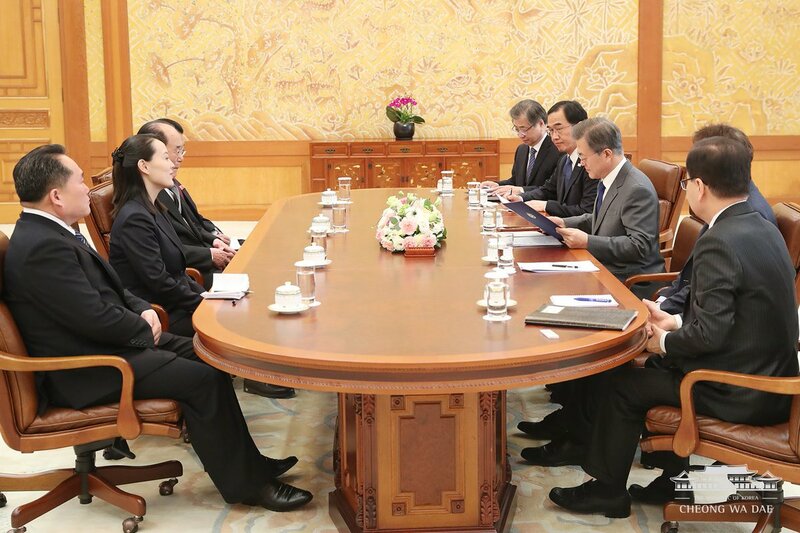 He is joined by Kim Yo Jong, who serves as first vice director of the Workers’ Party of Korea’s (WPK) Propaganda and Agitation Department (PAD), as well as Chairman of the National Sports Guidance Committee Choe Hwi and Chairman of the Committee for the Peaceful Reunification of the Country (CPRC) Ri Son Gwon. They will return to the North on Sunday. “Chairman Kim Jong Un moved away from the original negative stance on the inter-Korean summit and change his stance of holding the summit without conditions,” Cheong Seong-chang, a senior research fellow at the Sejong Institute, told NK News. 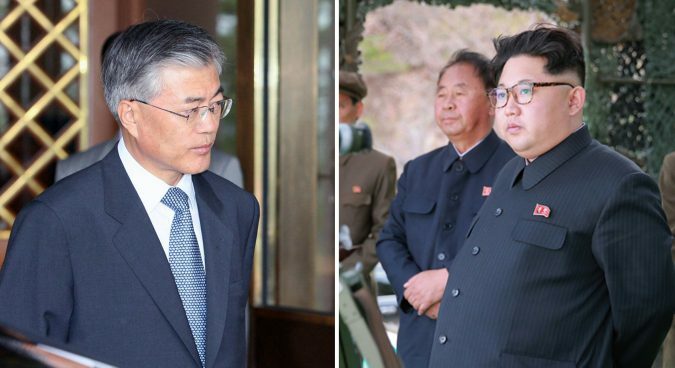 In addition to the South Korean President, the North Koreans were met on Saturday by Minister of Unification Cho Myoung-gyon, Chief of National Security Council (NSC) Chung Eui-yong, and Presidential Chief of Staff Im Jong-seok. 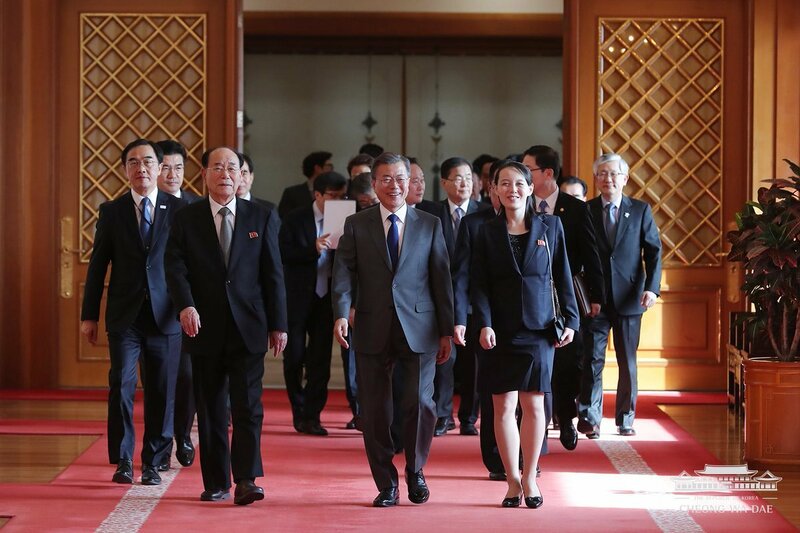 Director of the South’s National Intelligence Service (NIS) Suh Hoon was also present, though he did not appear on a list of attendees provided by the Blue House to journalists on Friday. Moon and Kim Yong Nam are set to attend the first match of a joint North-South women’s ice hockey team against Switzerland on Saturday at Kwandong Hockey Center in Gangneung, Gangwon Province. 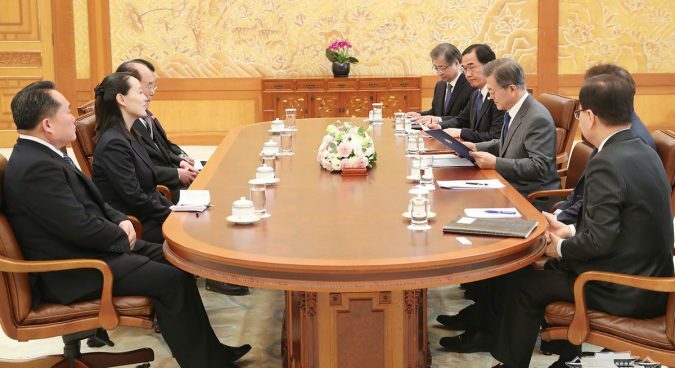 The meeting represented the most high-level North Korean delegation visit to the Blue House since August 2009, when Kim Ki Nam and the late Kim Yang Gon met then-ROK President Lee Myung-bak during a condolence visit following the death of Kim Dae-jung. Hwang Pyong So, Choe Ryong Hae, and Kim Yang Gon visited the South in October 2014, too, to attend the closing ceremony of the 17th Asian Games in Incheon. They did not, however, meet then-South Korean President Park Geun-hye. 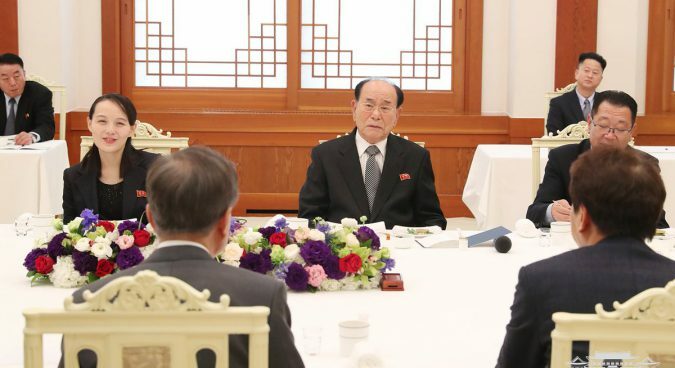 The presence of Kim Yong Nam, often described as North Korea’s “nominal” head of state, at Saturday’s meeting represented the highest level meeting between a DPRK official and a South Korean head of state in over a decade. Kim Yo Jong, too, is the most high-level member of North Korea’s ruling Kim family to visit the South since the Korean War. 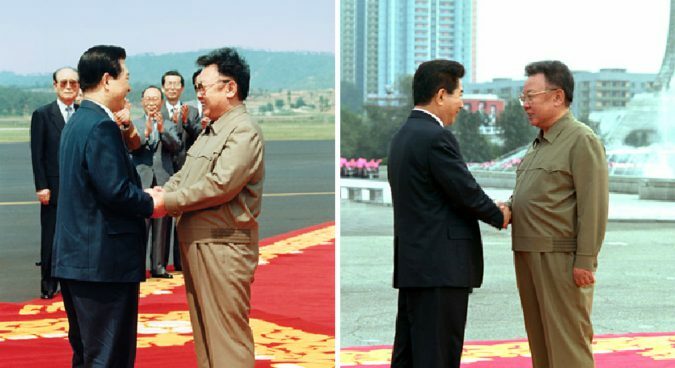 If Moon accepts, the meeting would represent the third such summit in modern Korean history, following Kim Dae-jung’s (left) and Roh Moo-hun’s (right) visits in 2000 and 2007 I Credit: DPRK Today, edited by NK News. 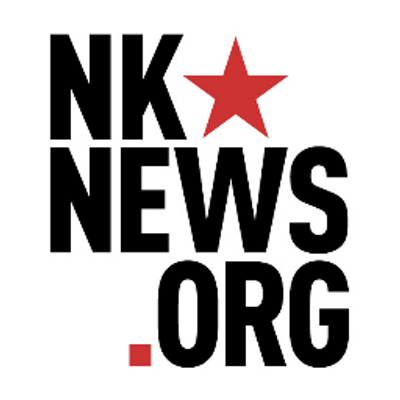 “[It] offers a unique opportunity to probe North Korea’s intentions with someone who is close to Kim Jong Un,” Mintaro Oba, a former Korea desk officer at the U.S. State Department, told NK News ahead of the meeting. 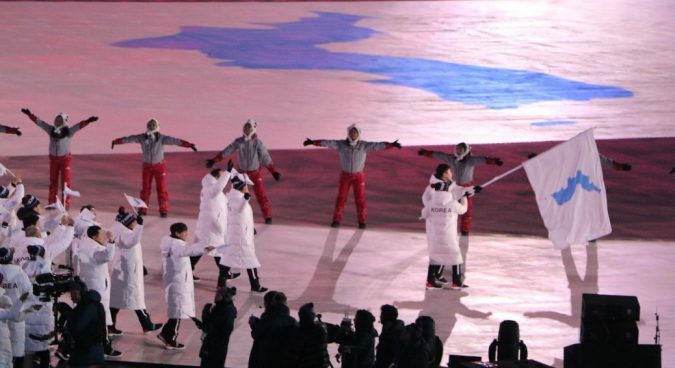 The meeting comes a day after the Opening Ceremony of the PyeongChang Olympics, which saw athletes from the two Koreas march together under the Korean unification flag for the first time in 11 years. 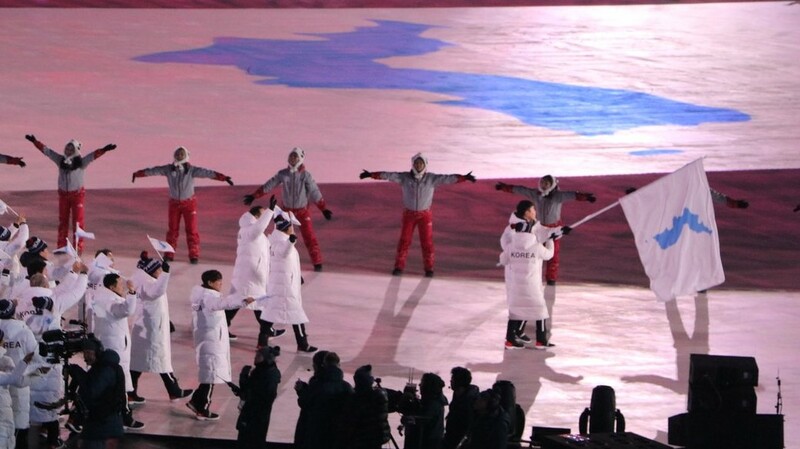 North Korean hockey player Hwang Chung-gum and South Korean bobsledder Won Yun-jong carried the flag, in a rare symbolic – but controversial – display of inter-Korean unity. While South Korea has been keen to use the Olympics – and renewed inter-Korean dialogue in the weeks that preceded it – to engage with Pyongyang, the U.S. has remained notably less sanguine. 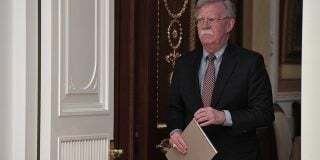 “It’s pretty clear that the White House sees the inter-Korean rapprochement as a bad thing,” former State Department diplomat Oba said. 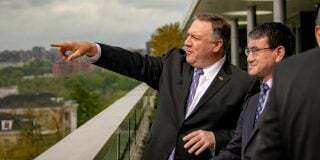 U.S. officials, however, have in the past week dropped hints that there may be some openness to talks with the North Koreans. “I have not requested a meeting, but we’ll see what happens,” Vice President Mike Pence said on Monday in Alaska on a stopover on his way to South Korea and Japan. Meanwhile, the South Korean Presidential office on Saturday said Moon Jae-in had rejected Japanese Prime Minister Shinzo Abe’s calls for a resumption of joint ROK-U.S. military drills. Moon and Abe held a summit on Friday ahead of the opening ceremony of the PyeongChang Olympics, but Saturday’s briefing saw the Blue House make an additional comment on the talks. “It is important to stage the ROK- U.S. military drills as scheduled,” Abe was quoted as having said by South Korean Presidential Senior Secretary for Public Relations Yoon Young-chan. Moon then raised his disagreement to Abe’s request, the Blue House said. “I understand what Prime Minister Abe said is not to postpone the ROK-U.S. military training until there is a progress in North Korea’s denuclearization,” Moon reportedly told Abe.